A glorious example of the Bespoke work undertaken by Julian Stephens, showcasing his unique abilities as both a creative Designer and experienced, highly adept Goldsmith. 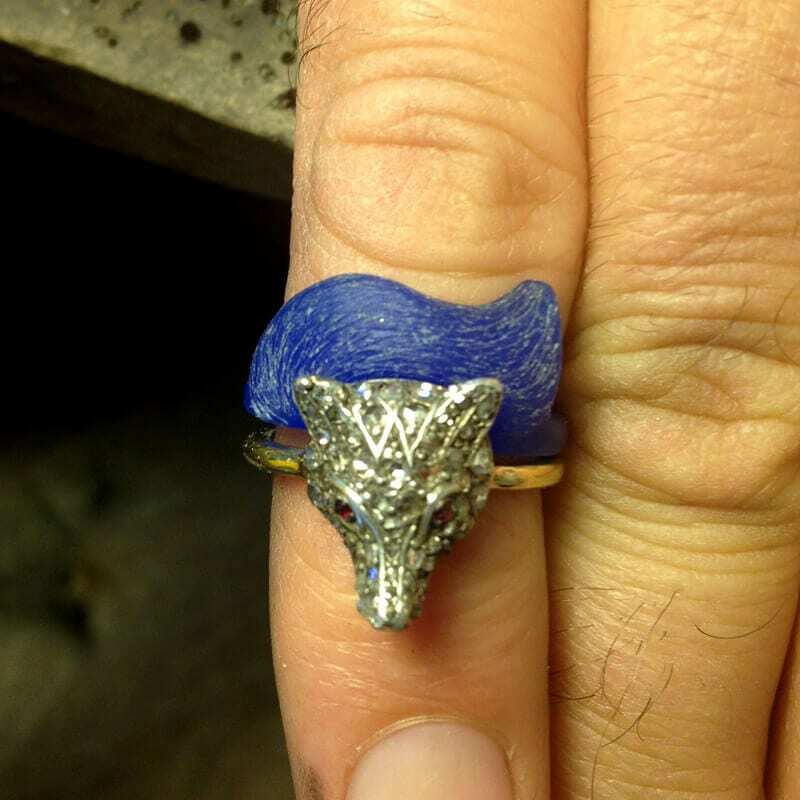 Our client wanted to create a unique stacking wedding band to perfectly fit an exceptional and unconventional engagement ring, the Antique ring features a delicately detailed Diamond studded fox head mounted on a round 18ct Yellow Gold band. Julian’s ingenious and highly creative solution to create a stacking wedding band was to a add a gorgeous yellow gold band with a curled fox tail to work in harmony with the existing Antique piece. 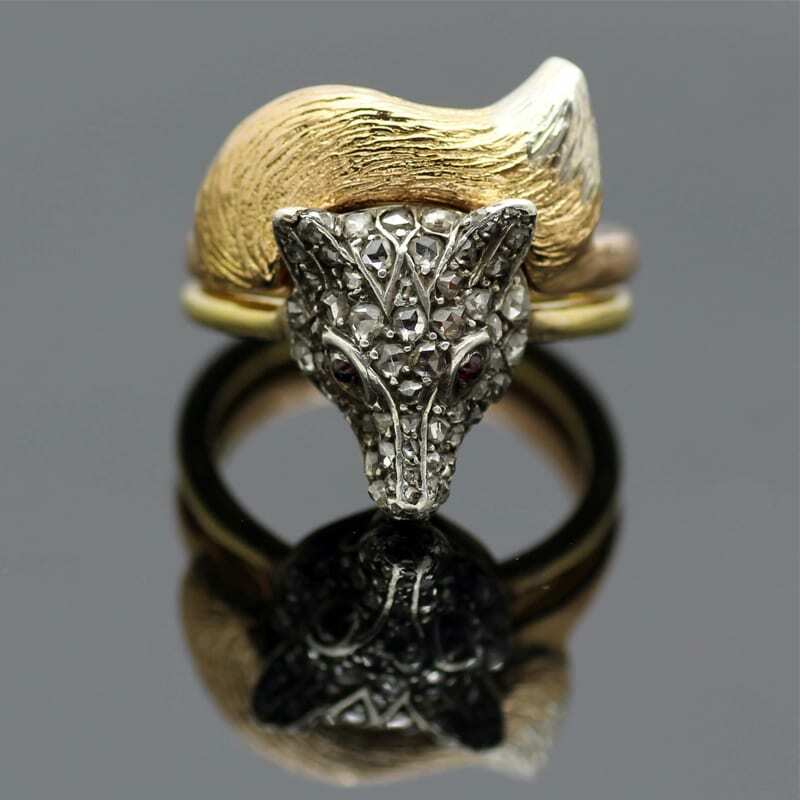 As pictured in the additional images Julian sketched extensively in preparation to create the perfectly proportioned tail shape and size to fit the fox ring, a wax carving in three dimensions was then prepared to get a sense of scale and proportion, finally cast in solid 18ct Yellow Gold and then hand finished by Julian, including adding beautiful fur texture and a sweet 18ct White Gold tip to the gently curled tail. 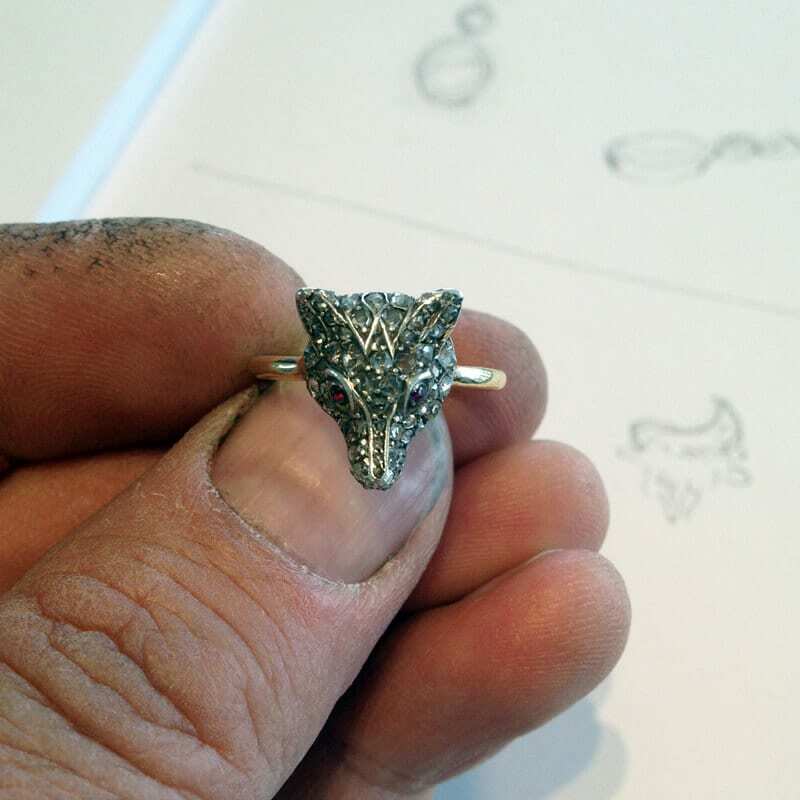 Each step of the way Julian worked in collaboration with our client, ensuring they were kept involved and engaged with the creative process, allowing for any changes or amendments to the design so the perfect wedding band would be made. The finished ring pairs perfectly with the Antique original and when worn together create a truly memorable, unique and magical engagement and wedding band stack.